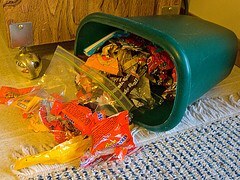 Most of us rarely give a second thought to tossing out potato chip bags, candy wrappers and other cheap plastic garbage. We can’t recycle them, so what other alternative is there than tossing them out? We discovered recently that many biodegradable plastics are actually more harmful for the environment than we think, so finding alternatives to plastic in general is becoming an integral part of environmental sustainability. Imagine that instead of throwing plastic garbage out, it could actually be used to fuel your vehicle. Don’t go stuffing Frito Lay and Snickers wrappers into your fuel tank just yet, sadly it isn’t that easy… although I’m sure many of us would like to take the trash piled up in our backseat and fuel the ride to work with it. Improvements on an existing technology may be taking your Cheeto bags and fueling your vehicle. Pyrolysis is used in dozens of U.S. oil-producing firms, and over time, may be used in more plants to create cheap oil that reduces dependency on imported oil products. With only about 7 percent of 48 billion tons of plastic actually getting recycled each year, it will be a huge step in decreasing the amount of waste thrown into landfills. The Dublin-based scientists coming up with this technology claim that out of each ton of plastic waste, they can create 175 gallons of diesel, 50 gallons of gasoline and 25 gallons of kerosene. The fuel has been passed as safe and clean, so it might not be long before it begins making the rounds in a city near you. Diesel fuel costs about $1.25 to produce, while this fuel made from plastic waste costs about 75 cents to produce. Would you fill your car with this new kind of fuel, or does it sound too risky to you?